Do you pray on a daily basis, not just once a day, I mean multiple times a day? Do you wake up with God and end your day with God in prayer? Prayer is the life-line to God. It connects us spiritually with Him. It completely amazes me to think that our God who is omnipotent, omniscient and omnipresent wants to spend time with us. We are absolutely nothing compared to Him and yet we are the number one thing on His mind every second of our day! Praise the Lord! So why is daily prayer important? Let us look and see what the Bible says! When you watch those commercials about conditioners for your hair you always see these animations of how the conditioner fixes the broken, dry pieces and how it revitalizes your hair to its optimum efficiency. Well, prayer acts the same way with your soul. There are parts of you and me that are broken because of sin. Until we pray and ask for forgiveness we will continue in our brokenness. Forgiveness from God is healing for your soul! Maybe you are in a dry spell with prayer. Maybe you don’t know what to pray for. Don’t let this stop you from praying! Even when we are broken and weak and don’t know what to say, “the Spirit Himself intercedes for us with groanings too deep for words.” (Romans 8:26) Granted, this is the Holy Spirit speaking for you, but you still need to make an effort with your eyes closed, meditating on God. Give God time daily where you concentrate only on Him and even if you don’t speak, the Holy Spirit will. Do you wake up with God and end your day with God in prayer? If we are to pray without ceasing, God must consider prayer a top priority for us daily. Here is why. If we go day to day without praying then we naturally focus on ourselves and what we desire. However, when we involve ourselves in prayer and seek the will of God our focus will shift towards loving others and meeting their needs. The will of God in Jesus is this, “If anyone would come after Me (Jesus), let him deny himself and take up his cross and follow Me.” (Matthew 16:24) Taking up your cross means to literally put to death your sin as Christ did for you and I on the cross. We must deny ourselves and focus on meeting the needs of the kingdom wherever they might be. This is why prayer is so crucial. 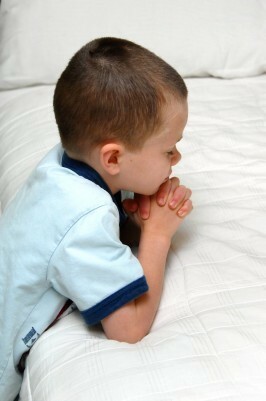 When we set time apart to pray and commune with God, it is then that God hears us and shows us His will. Until you make prayer a priority daily you will stay on the path of self-fulfillment. If someone broke into your house and you had the choice to defend your family with your bare hands or with a gun, would you not pick the gun? Of course you would because the gun has power in that situation. The same thing can be said about prayer. Prayer is very powerful and its effects can cause everlasting life changes. Here are 2 examples from the Bible. “Elijah was a man with a sinful nature like ours, and he prayed fervently that it might not rain, and for three years and six months it did not rain on the earth. Then he prayed again, and Heaven gave rain, and the earth bore its fruit.” (James 5:17) I wanted to use this verse specifically because James believed in the Old Testament; the book of James was written in the New Testament. This verse is a great connector of both testaments. He used this verse to reshow the events of 1 Kings chapters 17 and 18. The power of prayer is unstoppable, even to the point of stopping the rain from coming down. Prayer also has the power to cast out evil spirits. In Mark 9:14-29 we read about a boy who gets possessed from time to time by the same evil spirit. Jesus’ disciples tried to cast it out and they couldn’t. This passage showcases a father who is at rock-bottom looking to Jesus for healing of his demon-possessed son. Jesus does indeed cast the spirit out and the disciples “asked Him privately, ‘Why could we not cast it out?’ And Jesus said to them, ‘This kind cannot be driven out by anything but prayer.” (Mark 9:28-29) This is how powerful prayer is! “You ask and do not receive, because you ask wrongly, to spend it on your passions.” (James 4:3) It is imperative to pray correctly. God does not answer selfish prayers. Praying daily must be a top priority in our walk with the Lord. Ceasing to pray is like ceasing to drink water. Both are a life source. If you aren’t praying daily I encourage you to start. If you do pray daily I encourage you to keep at it. Prayer is powerful and can change anything according to the will of the Father. May God bless you as you live a life worthy of the calling! Tagged as: Bible Study, Why is Daily Prayer So Important? You my brother, have been a veritable prayer lesson and Bible study recently. Wow. I am so impressed. I know that I too must be more in prayer and I am presently dealing with some very serious church discipline issues. This takes a lot of prayer. Our church will never move forward except on our knees and I know when I feel at times I can not stand any more I can only fall on my knees. Thanks for these important lessons brother. Thank you Jack! I too need to be in prayer more. There is always more time to pray, we just have to make it happen. I am sorry to hear about the concerns at your church and I am going to pray right now for you friend. I say “Amen” to what you said, “Our church will never move forward except on our knees.” These are very wise words. A man on his knees can stand before any one. Bless you brother! Prayers are on the way! Hi Derek! This is an incredible study. You have made several good points about the power and importance of prayer. If you don’t mind, I have a question. Every time I go out to a store, I feel the need to pray for the people around me. I pray for the people that are in the store with me and also any other people I pass by anywhere else. I truly do love praying, but sometimes, when in a rush, and going to many stores, it can very difficult to relax and pray for them. As you can imagine, there are SO many different things to pray for strangers that you see, like that they be blessed, saved by Jesus, receive God’s grace and mercy, delivered from any issues they may be going through. It’s very hard to stay focused on prayer and shop at the same time, especially when in a rush and there are so many things to pray to God for them. I get distracted from prayer easily. Is there any way I can still pray for everyone I see in a simple way, but also very truthfully and lovingly to God? Thank you in advance for any advice. God is good. May He bless you greatly! Hey Candice! You have a big heart! If I were you I think I would pray to God in advance before you go into a store and say, “Father, I pray for your hand of mercy to be on everyone I see. I pray that if they don’t know Jesus that You would soften their hearts towards You. Father, only You see the heart fully and I pray that when people see me today, they see Jesus! I love You, Abba, Father! Amen” Then instead of praying while you are shopping you can be smiling and showing other people through your actions that you are different from them. Does that make sense? People will want the joy they see flowing out of you. Blessings on you, Candice! Thank you for your comment. You are such a compassionate person and I thank you for it! Hey again! So sorry I took so long to get back2 you! I am so thankful that you gave me such a great answer and beautiful prayer to say, I will be praying it a lot. Yes, it makes a lot of sense to pray before and then truly just allow people to see Jesus in me so they want that joy. Also, I think you are a compassionate person as well for talking with and praying for those on this site! It was God who brought me into praying for those I meet so all praise to Him! Thank you again! You are welcome Candice! All praise to God indeed! Bless you! this is amazing, it make me to remenber my formal way of doing thing when I was a Copper… But now because of thing(s) around me I find no time for my prayer anymore, As God leave my prayer day must come again in JESUS Name. THANKS alot. Hello Emmanuel. It sounds like you know in your heart what you need to do. Don’t wait another second. Start praying again today. What is holding you back? Give everything to God in prayer. Connect with Him because He is desperately trying to connect with you. Blessings on you! I believe that you left out one word. Do not use a NIV bible. It is corrupt. Derek, I am not the author of this article but I do know that many of the original manuscripts do not have the word “and fasting” in them and I believe that is why the NIV did not include it but most NIV’s I’ve seen do put a footnote about this anyway. A great number of other translations also do not have “and fasting” in them. I myself love the KJV and NKJV and the ESV. Hello Derek. I would caution you on saying that the NIV is corrupt. I don’t use the NIV myself, but calling the Holy Word of God corrupt is not a good choice. I always use the ESV myself, although I am a big fan of the NASB too. Fasting is definitely a good part of prayer. I appreciate your suggestion. If you read the NASB, which is a literal translation, word for word from the original manuscripts “and fasting” is also not found there. Blessings on you! Hello Derek, Due to many translations in British English and American English, there is a lot of variations and confusions. We have only one translation in our language Tamil and when I read my Tamil Bible and English Bible, I feel my Tamil Bible is much better than other translations from the original one. Thank you sir for this wonderful message of prayer. I’m always been amazed for the wisdom that God has provided for you. God is really great in your life. I have been struggling lately with praying too much, to a obsessive point. I love the Lord and I fear the Lord very much. I pray every where as if he was standing right next to me, house, bed, stores etc etc. Is it possible to pray too much or just babble on in prayer? I never want to make him sad or mad or hurt his feelings at all. But is it possible to pray to much to the point of being tired of praying? Or even damaging to mental health? As I do have mental challenges from the military? Never do I want to be rebellious to the Lord Our God and Jesus Christ. i will be grateful if you can send me newsletter. Previous post: Should Pastors Know What People or Church Members Give?